This mid-March wedding brought some bright color to the late winter weather. 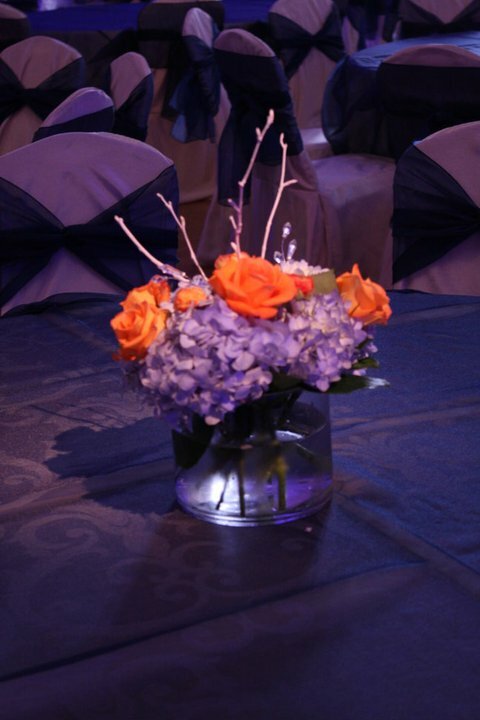 Orange and white flowers were seen at the Cathedral and the blue was pulled in at the reception. 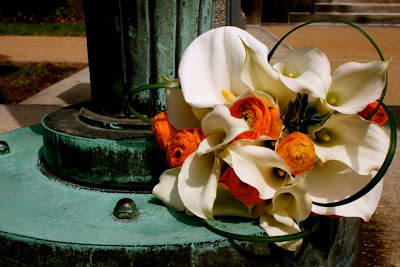 The bridesmaids’ bouquets were white mini callas, orange ranunculus, and Lily grass accents. 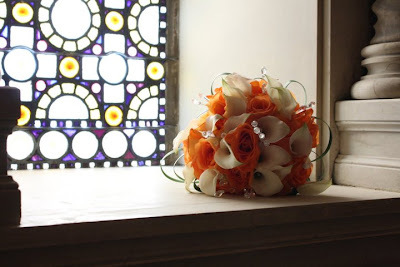 The bridal bouquet was orange roses, white mini callas with lily grass and crystal accents. 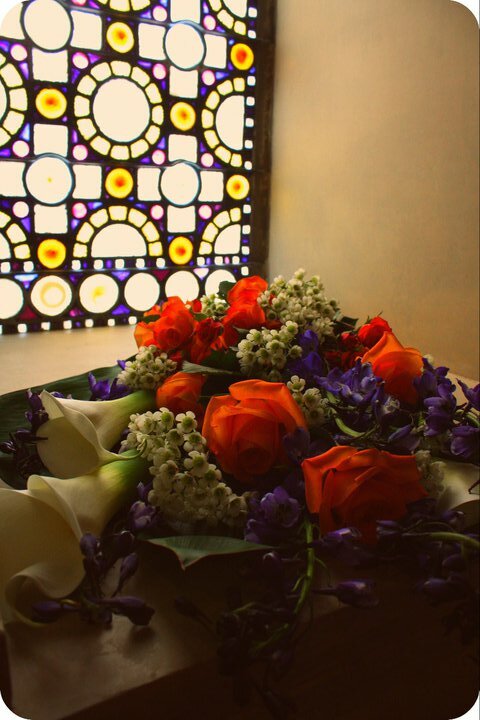 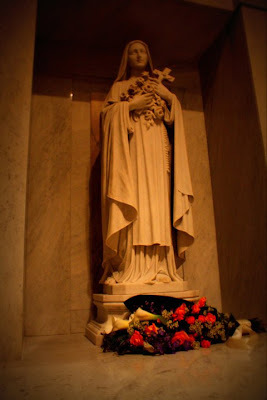 The couple was very traditional and wanted a bright, full bouquet to place at the Mary statue in the Cathedral. 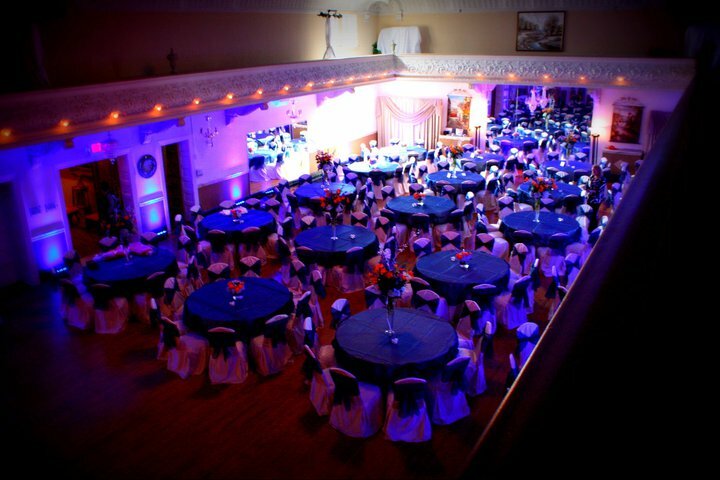 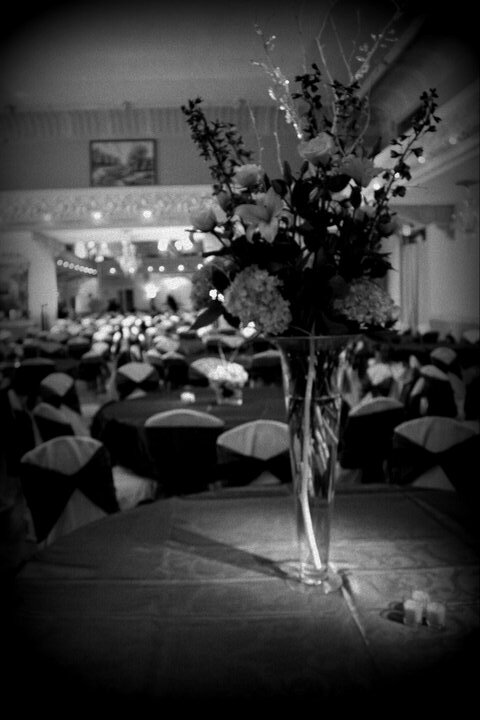 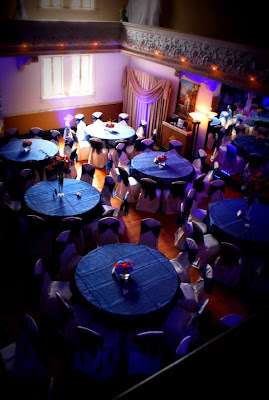 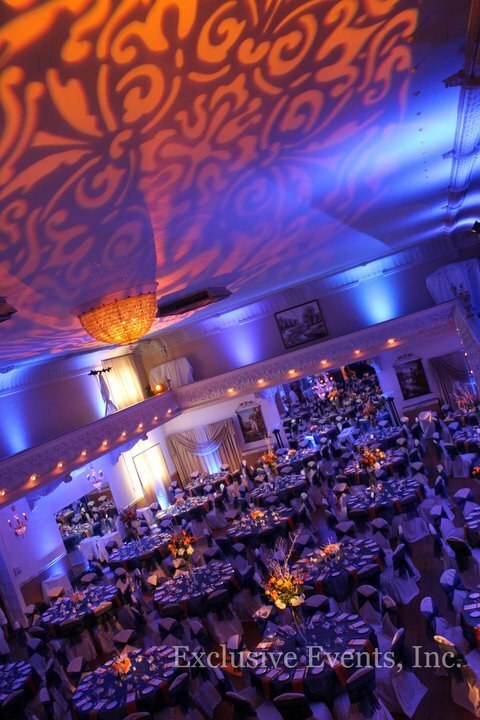 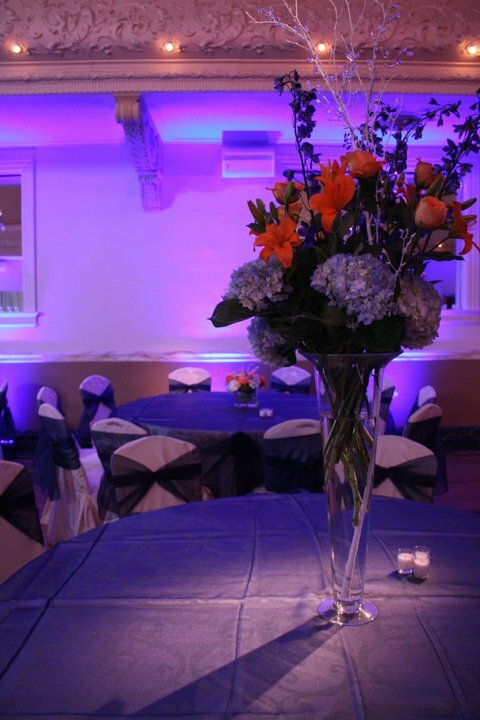 At Mahler Ballroom, tall and short centerpieces were used to bring interest to the room. Both arrangements featured the oranges and whites from the ceremony and incorporated white birch branches and crystals with a touch of blue. 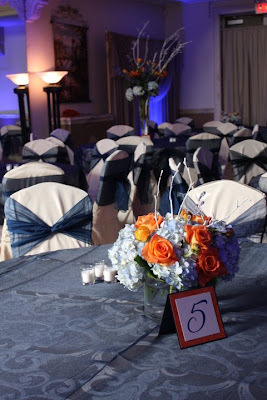 Special thanks to Sara Grus Weddings for coordinating such an awesome day!